Check Inn Chinatown i Bangkok, Thailand : Boka nu! 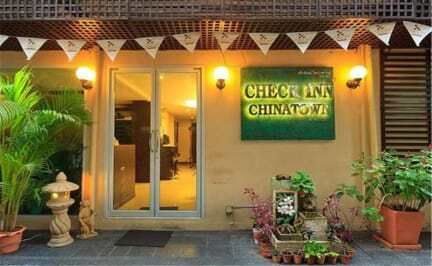 In the heart of Bangkok’s colorful Chinatown, Check Inn China Town offers cozy guest rooms with kitchenettes and free Wi-Fi. A restaurant and 24-hour front desk are available. The fully air-conditioned rooms at Check Inn feature elegant wooden furnishings and a satellite TV. A DVD player and minibar can also be enjoyed in all rooms. Check Inn China Town provides convenient guest services like laundry, dry cleaning and ironing. Car rentals and photocopying services are also available. Local and international dishes, as well as a daily breakfast, are served at the hotel’s restaurant.